Hi Lindy’s fans – I thought I’d show you a clean and simple Valentines card today – just early enough so you could make one for yourself if you want to! Now this layout doesn’t just have to be a Valentine’s Day card, it would also work with a circle as the center piece, or a Christmas tree or any shape really! To add colour to this I’ve used my Magicals three different ways to achieve a variety of colour strengths and effects. I also used thick watercolour card as the base and thinner plain cardstock (so I could shape it) for the heart and the layers. Use a ruler to tear your watercolour card to size, as this gives a gorgeous soft edge. 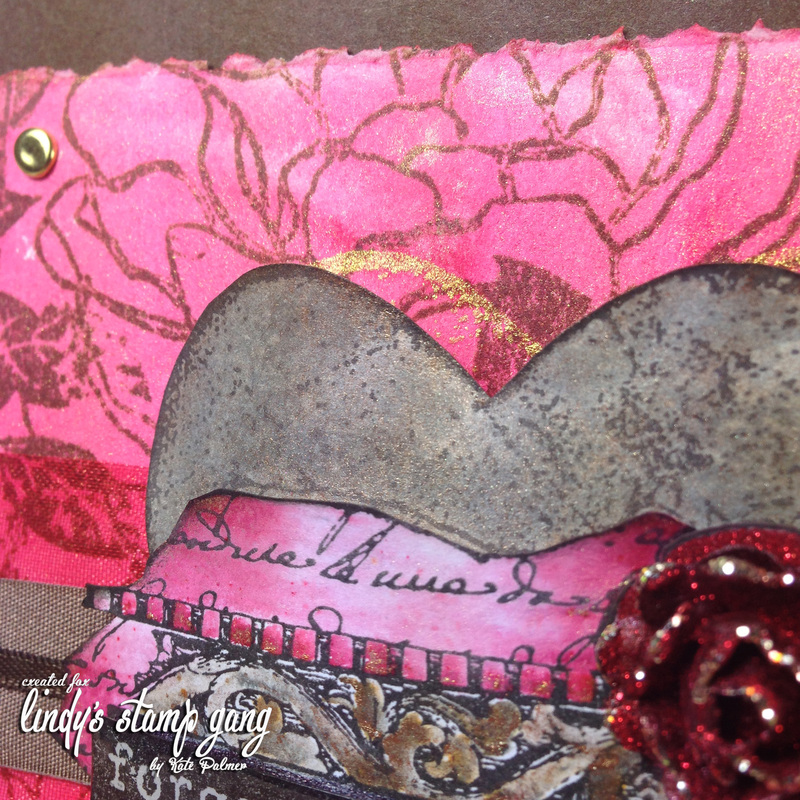 Allow the Magicals to bleed across your background cardstock for a varied coordinating colour. 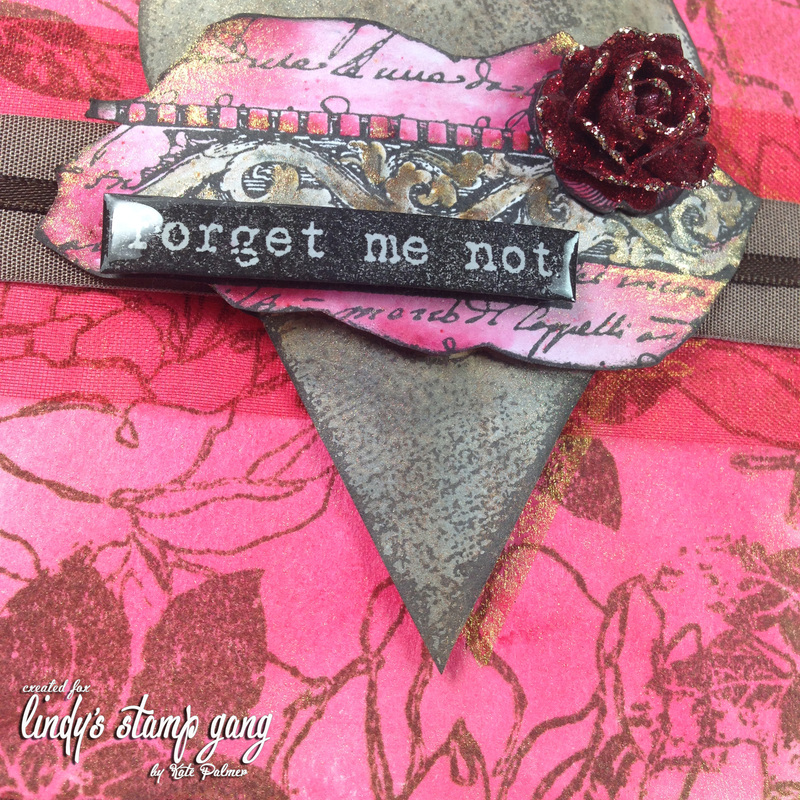 If using different colours close to eachother on a card, choose colours with the same or similar shimmer colours. When you tilt the card to catch the light you can see the mica clinging to the Versamark stamped image. I’ve used varying tones of red on both the base and the central image. By using the same red in varying intensity for both – you get immediate matching colours without looking flat or boring. 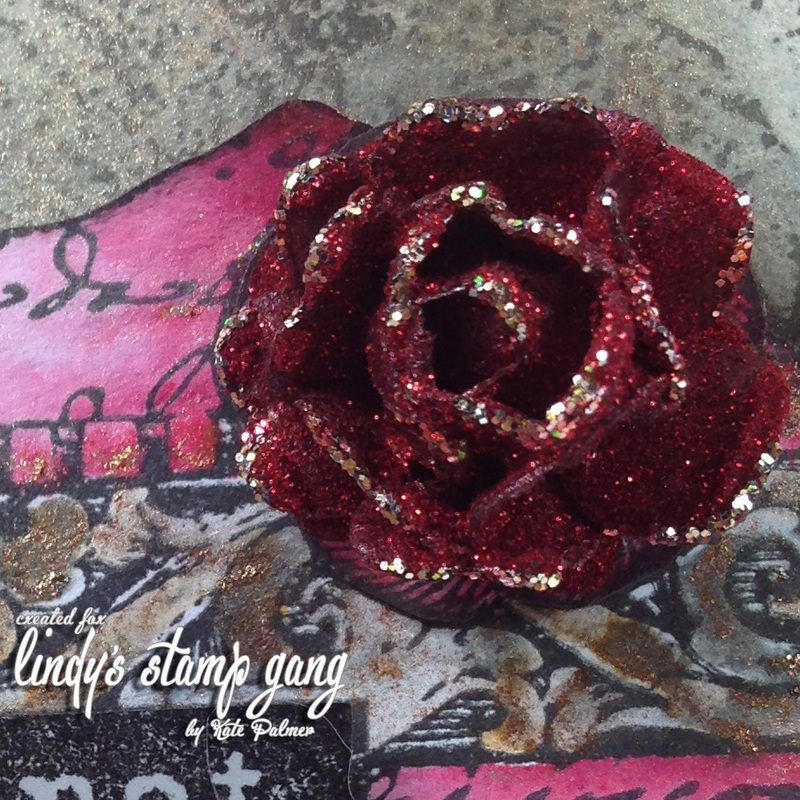 and lucky last my blingy flower coated with glittery goodness, both red glitter and a little platinum on the edges to set it all off!